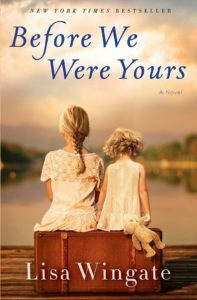 On February 13, the Mercer Book Club will discuss Before we were yours by Lisa Wingate. From September through May the Mercer Library book club meets once a month for an informal discussion of each month’s title. There are no requirements, and this is a relaxed and friendly group. New members are always welcome! For more information, call 715-476-2366 or visit www.mercerpubliclibrary.org.